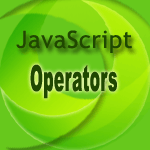 The instanceof operator is used to check the type of an object at run time. The instanceof operator returns a boolean value that indicates if an object is an instance of a particular class. objectName: Name of the Object. objectType: The type of the object. The following web document shows how the instanceof operator is used. See the Pen instanceof-1 by w3resource (@w3resource) on CodePen.